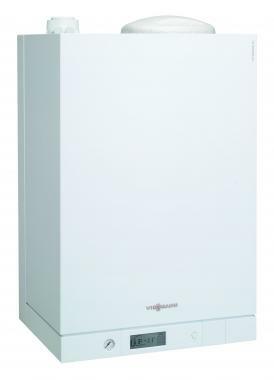 B1LD Vitodens 111-W with Integrated 46l Un-vented Cylinder is available in outputs of 26 and 35kW. It is perfect for those living in a flat or a small house, but is also great for houses with high hot water demand. With its quick heat recovery of less that 5 minutes it is able to fill a hot bath in around 8 minutes while someone else could be having a shower or washing up. The boiler is a wall mounted boiler that will easily fit into a bathroom, kitchen or utility room. With its built-in room temperature sensor, it offers the chance to also be able to be connected to an outside temperature sensor, helping your house to stay warm through those horrible cold days!